Login and access the Legal Grab web app to view arrest records. Use any device with a browser and an internet connection. Select the arrestees that you wish to mail to. You can strategically target arrestees based on county, charge, ZIP-AGI and more. Selecting records that you wish to export is as easy as one click. You can click on the checkbox for each row or you can click anywhere on the row itself. You can also Select All rows by clicking the main checkbox in the table header. Click the export button and the Export Window will appear. This window has several features including the ability to download a csv, xls or xlsx file. 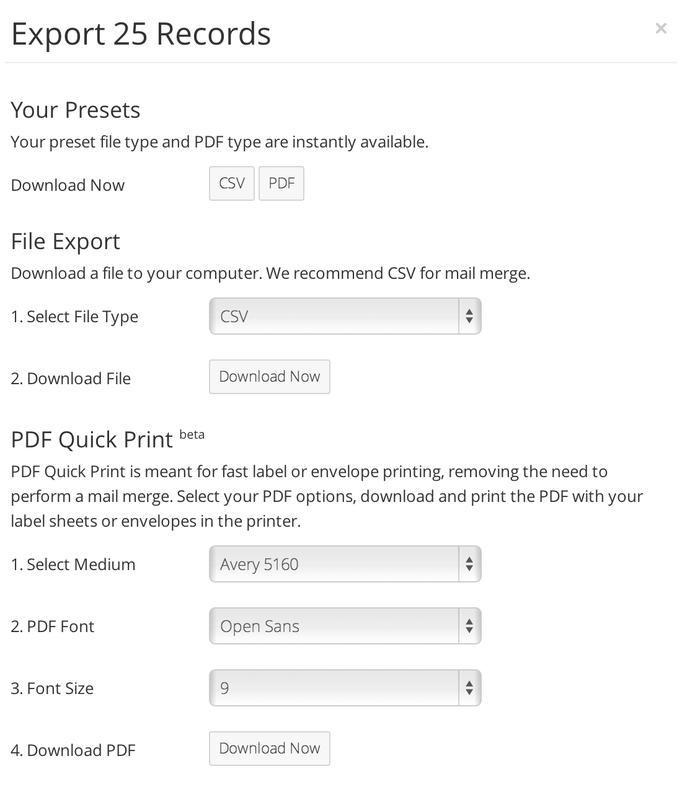 You can also download a preformatted PDF Quick Print file for instant label and envelope printing. Use our PDF Quick Print feature to quickly print labels or envelopes. You can also use our mail merge tutorials to print using Microst Word. Using arrest records from Legal Grab in tandem with direct mail is a proven way to sign more clients and make more money.